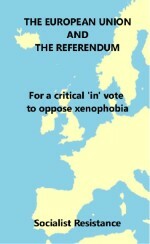 For a critical ‘in’ vote to oppose xenophobia. The in-out referendum on membership of the European Union will dominate British politics in the run-up to the vote on 23 June 2016. Right wing, xenophobic and reactionary arguments, as well as misinformation, on migration and security will be peddled. There will also be a tendency from some in response to this to exaggerate the benefits of the European Union. Our aim in producing this short book is to put forward an alternative. We argue for a critical ‘in’ vote in this referendum to fight xenophobia. 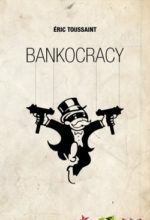 At the same time, we are unswerving in our critique of the European Union as an undemocratic and neoliberal institution that is rolling out austerity. 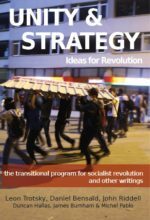 The first chapter explains the position of Socialist Resistance on why we are calling for a vote to stay in the EU in the referendum. Chapter 2 is a short background piece on Greece by Alan Thornett. This is followed in chapter 3 by an analysis of the collapse of the Tsipras leadership of Syriza in front of the EU. 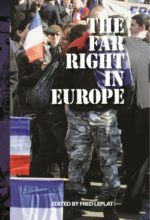 Finally in chapter 4, there is the pamphlet Behind the EU crisis by Alan Thornett, originally published in 2011. This is an analysis of the politics and the class nature of the EU and the Eurozone from its origins in 1951. Alan Thornett is a leading member of Socialist Resistance and a long time political activist. In the 1960s and 1970s, he was a senior shop steward in the car industry. 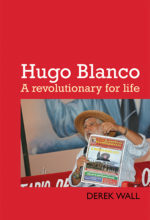 His most recent book, Militant Years: Car Workers’ Struggles in Britain in the 60s and 70s, was published in 2010.